125 years is quite the milestone for any organization. Having 125 years of Junior members in the Grange is an accomplishment we should all be proud of. 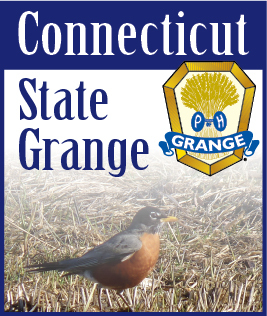 During the Wednesday evening session of the National Grange Convention held in November, Master Ed Luttrell asked the delegate body and all visiting Grange members what year it was. The crowd responded with “2013.” Executive Committee Member Phil Prelli announced that it was the 125th birthday of the Junior Grange. Master Ed Luttrell asked all Junior Grange alumni to stand and a large number of Grange members stood. He then asked Junior Grange Leaders past and present to stand, followed by supporters the Junior Grange Program. Not a single person was seated at that point. Several rounds of applause were given to these groups as they stood to represent their time spent as a Junior or supporter of the Junior Program. First Lady Celia Luttrell was asked by Master Ed Luttrell to reflect on what being a Junior Granger meant to her. Celia Luttrell has raised three children in the Junior Grange and is encouraging them to include the Junior Grange in the lives of her grandchildren. She said, “Junior Grange is something we all should be proud of.” Celia Luttrell, who is one of six children, said she was quiet when she started out as a Junior Granger but growing up in the Junior Grange changed that. She went on to become a Junior Leader. Following Celia Luttrell’s refletion, a few minutes were given to Grange members to share their memories of Junior Grange. Nine Junior Grange Alumni shared their stories from their time spent as Junior Grangers. They told stories of fun times they had at camp and stories about friendships that started in the Junior Grange. There were laughs and teary eyes, and every member of the alumni understood exactly what those who shared their stories were describing. To end the 125th year celebration of the Junior Grange, cake was served to all in attendance, starting with the current Junior Grangers.